Despite increasing the VAT rate earlier in the year, the state is again facing a multi-billion rand revenue shortfall. The latest estimate, according to the medium-term budget policy statement, is R27.2bn relative to what was announced by former finance minister Malusi Gigaba in the 2018 Budget. Gigaba had estimated gross tax revenue of 1.345trn in the 2018/19 budget. This has now been down-scaled to R1.317trn. “A backlog of VAT refunds at SARS, and an underestimation of refunds due, has led to an overly optimistic view of revenue growth,” states the policy statement. “Net VAT collections account for about R20bn of the in-year revenue shortfall. Two factors account for the revision in net VAT. The VAT refund estimate has been revised upwards by R9bn, and about R11bn will be paid out to clear the backlog in the VAT credit book." The SA Revenue Service’s VAT credit book shows the refunds amounts owed to registered VAT vendors. As the policy statement notes, the TAX Ombud has said that the tax agency could and should have been paying these refunds out earlier. The agency is required to pay VAT refunds within 21 working days of receiving VAT returns. While the backlog in VAT refunds account for R20bn of the shortfall, the remaining R7.4bn stems from slower corporate income tax collections due to the weak economy. 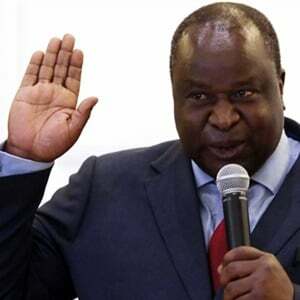 While the payment of the VAT refunds will mean government has to find funds elsewhere, Mboweni said the injection of R20bn back into the economy would “provide a much-needed boost to the real economy”. SA slipped into a technical recession earlier in the year following two successive quarters of negative economic growth. The country’s estimated growth rate was subsequently downgraded to under 1% by the IMF, the World Bank and the SA Reserve Bank. Revenue projections have also been revised downwards over the next three years, when compared to what was announced by Gigaba in the 2018 budget. According to the policy statement, SA will face shortfalls of R24.7bn in 2019/2020, and R33bn in 2020/2021. This means the state is facing a total three-year projected shortfall of R85bn. Apart from the announcement that white bread, cake flour and sanitary pads would be VAT exempt from next year, no changes to VAT were announced on Wednesday. 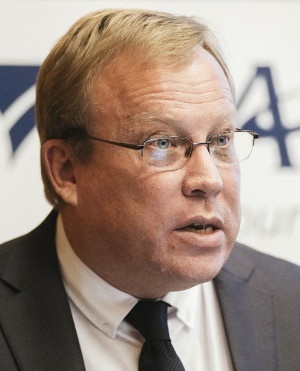 Speaking at a pre-mini budget briefing on Wednesday, Mark Kingon, the acting head of SARS said the VAT refund backlog was concerning, and the tax agency was investigating how it came about.